What Should I Do When I Have Wet Insulation in Portland? Did you know that you can actually make your home more energy efficient by removing some of the insulation? It’s true. There are also other reasons why you might need to strip the frame and rafters. This article describes best practices for removal and other insulation services in Vancouver, WA. Why remove insulation in the first place? Depending on environmental factors, plus the type of material that you use, your insulation can last for up to 80 years. So why would you ever need to remove any of it? If you bought an old house, the material might be approaching the end of its usable life. Rodents and other pests might chew through the insulation, vastly reducing its effectiveness. Another reason why homeowners commonly remove insulation is to ventilate their attics. Ventilation, of course, is air flow. Since you generally don’t spend much time in your attic, why does it matter how well the air flows through it? The answer comes down to two things, heat and money. Elementary school science classes teach us that heat rises. Thus it’s not uncommon to have very warm attics. Insulation in the rafters traps the hot air until it can cool down and fall back down, evenly heating up the lower floors. 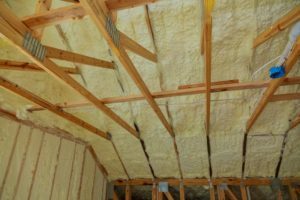 If you have thick layers of insulation in the space that serves as the attic floor or ceiling of the floor directly below, this creates an effect that keeps all of the air in the attic even warmer. As hot air comes in through the vents, it continues to heat up and rises out through the roof. This creates a vastly inefficient waste of your electricity, or heating fuel and costs you money.Taking out the insulation from the attic floor allows the cooling air to pass through, rather than trapping it where it becomes hot again and rises away. Insulation removal requires various processes, depending on the type of material used. One version is rigid foam. R-Max is one of the most popular versions of this type. It’s only a couple inches thick and has foil backing on both sides for cohesion. You cut it to fit precisely during installation. Removal is as simple as cutting out pieces and pulling them away with your hands. Another type is expanding foam. This material gets blown in and expands to fill the void in the rafters. As hard or harder than rigid foam, this version is simple to cut through with a knife or hand saw. After that you can tear away chunks of it. By farm the most common type of insulation,especially in old houses, is fiberglass. Usually yellow, you rol this soft material out between joists and studs. Fiberglass is the trickiest material to get out of your home. As its name implies, fiberglass is made of small,rigid fibers. If you handle it roughly, these fibers get into the air. If you inhale them you could be in for severe respiratory success. If fiberglass insulation is so hard to work with, what can you do to protect yourself? Make sure that if you do take on such a project yourself that you’re properly equipped. Suitable personal protective equipment (PPE), defends against irritating fibers. Breathing Protection: A minimal protective device is a face mask that covers your mough and nose. It can filter out smaller fibers to prevent attacks from getting them in your respiratory tract. You can get masks in simple, disposable models or reusable, professional-quality respirators. Eye Protection: Proper eye protection keeps fibers from getting under your eyelids and tearing up tissue. You want models that are made from polycarbonate for strength and durability. Since you generally only do insulation removal indoors, you want to have clear lenses so you can see what you’re doing. Gloves: Gloves keep fiberglass material from embedding in your skin. Once in place it becomes as irritating as a splinter. Gloves also prevent you from spreading the material around from your hands. In order to keep everything as safe as possible, make sure to take great care when you remove fiberglass insulation. Try not to step on the insulation material if at all possible. If you’re using power tools, such as saws or drivers, only use those that have a dust extractor fan. This vacuum system extracts particles from the air and keeps them out of your respiratory system. Keep the attic ventilated while you remove the material. This can be as simple as setting up a large, industrial-strength fan and keeping a window open. If you need your job to get done right the first time, it’s a good idea to call in the pros. 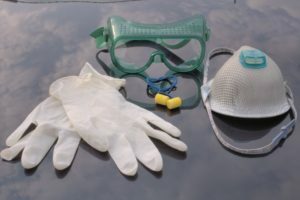 Services that deal especially with fiberglass insulation know the hazards of working with this material, and they can minimize exposure for themselves and your family. Companies that work in insulation removal also tend to be skilled at attic ventilation and other projects, so you can use just one team to get everything done. 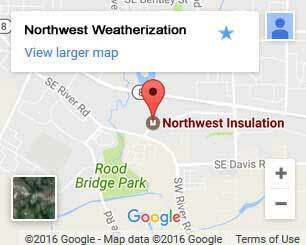 Northwest Weatherization is your best bet for insulation services in Vancouver, WA. We’ve been in the local area for several years, and in that time we’ve steadily grown our customer base. We specialize in attic work. While we usually work with spray foam, we can also set up many other types of material if your project requires it. Our workers follow prudent safety practices, and they make sure to keep yoru home as clean as it was before they came in. All you have to do to get the ball rolling is to give us a call or to fill out the contact information on our site. We set up a free consultation at a time that’s convenient for you, and give you an accurate estimate of the job. From there we get to work on making your home more energy efficient and comfortable in extreme weather conditions. Don’t leave your products to chance, get Northwest Weatherization on the job today.